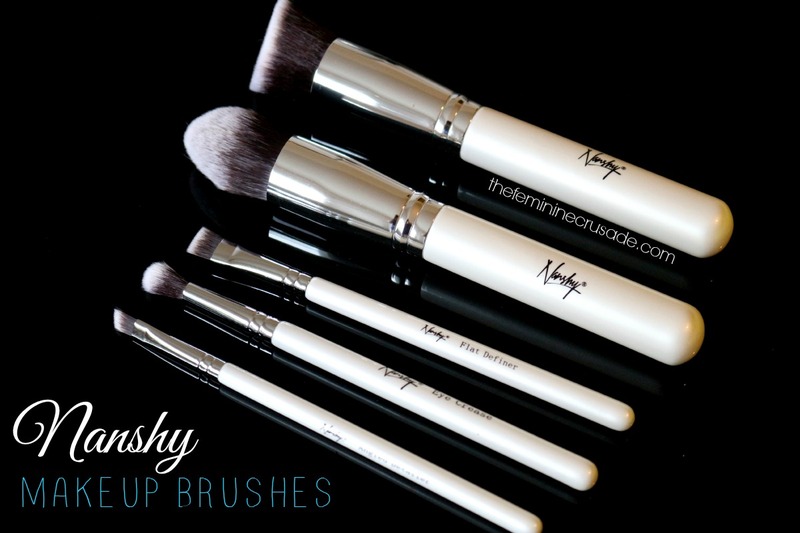 Nanshy Makeup Brushes were taking a toll over the beauty blogger world and I was really excited to give them a try myself. 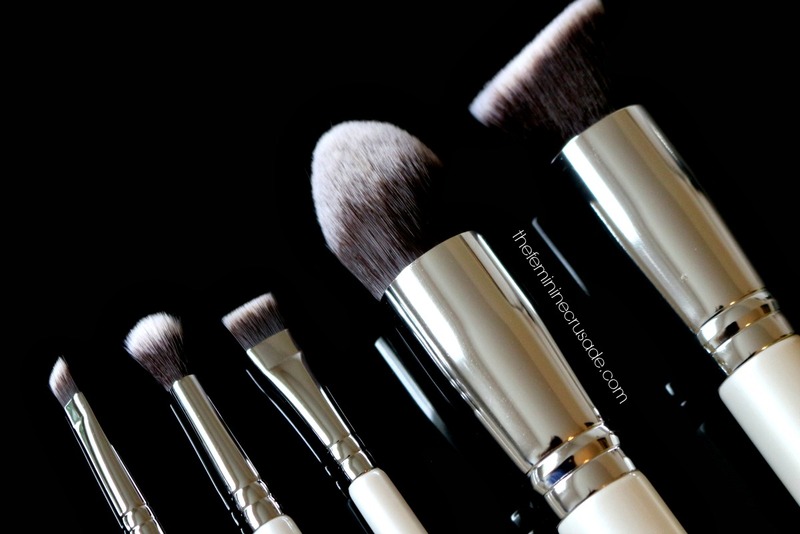 What's better than some good quality, affordable makeup brushes? Because honestly the Sigma and MAC ones do tend to be heavy on the wallet. I find the pearl-coated, thick, white handles uber chic. A breath of fresh air from all the classic black ones and they give off an air of luxury. These synthetic brushes are packed with beautifully soft dense bristles that are a perfect balance between softness and blendability. I don't feel the weight of them on my skin. This brush is ideal for applying eyeliner or adding some tiny, precise details around the eyes. I totally love to use this brush on my bottom eyelashes to pack eyeshadow or create smokiness. 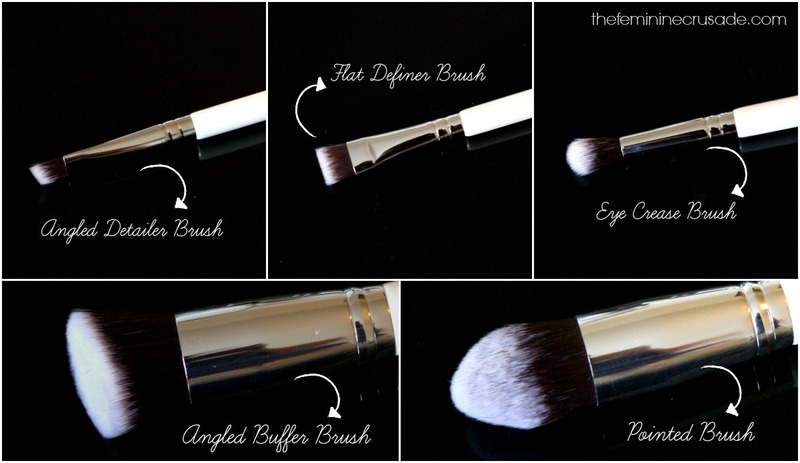 My favourite, this fluffy brush applies and blends eyeshadows in the crease perfectly. 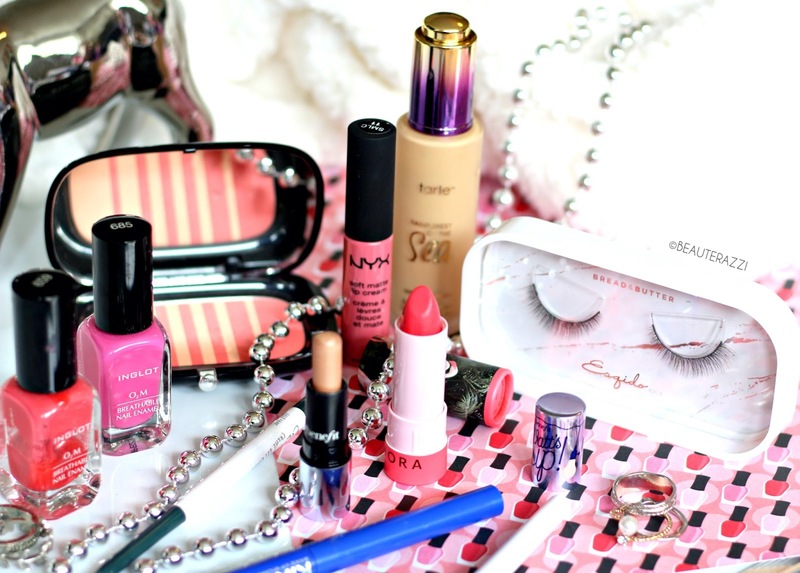 It also helps to achieve a very precise cut-crease look. 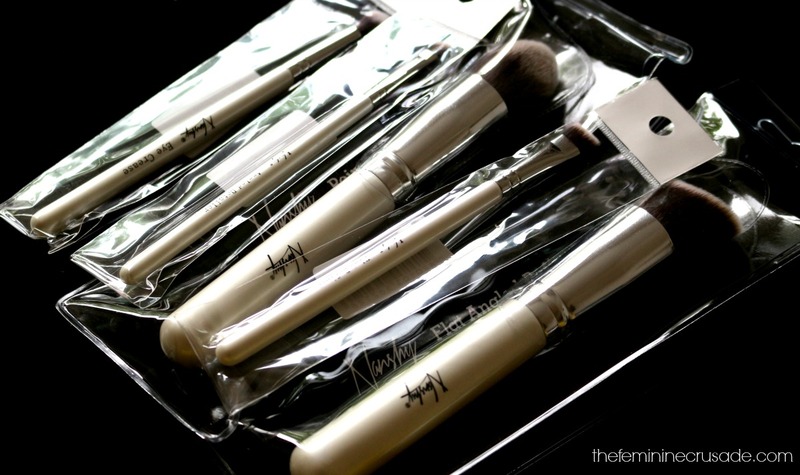 A great alternative to the infamous Sigma F80 this brush aids in applying and blending foundation all over the face. This brush serves multiple purposes. 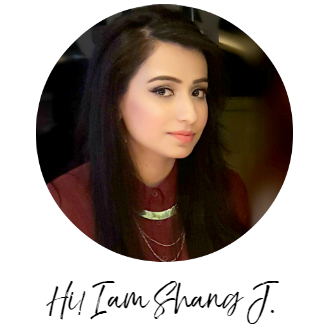 Apart from the application of foundation and concealer, the pointed-ness helps in achieving a perfect contoured face. I love to use it for the latter. Ooh I am having the time of my life with these gems! Honestly, not because they were sent to me fore free, but they are worth it because they are the first of appropriately priced brushes with such incredible quality. To find their stockists and other details check out the official website Nanshy here.